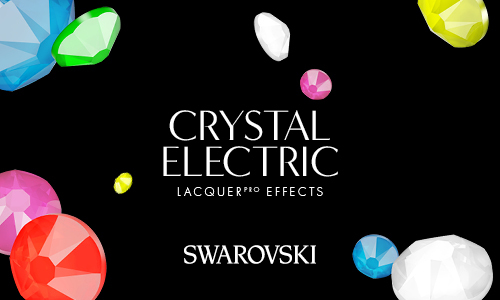 The new Swarovski Crystal Electric Lacquer Pro color family brings powerful neon colors to the Swarovski crystal collection. Now available are 6 Electric Lacquer colors in rhinestones that offers hyper-real experience with intense hues for eye catching, pop colors. This new Electric color family specifically meets the high demand for neon crystals needed on the dance segment, allowing for an intense light return on dance floor, the stage and for competitions. These new Electric Lacquer colors include UV pigments that lead to increased glow under artificial light, and will glow under black light.